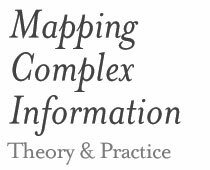 MapCI is a deck of prompt cards, referred to as ‘MapCI Cards’ (Mapping Complex Information Cards), designed to support the conceptual part of the diagram creation process. Working with MapCI cards can help you strengthen your information management skills, reduce the risk of poor understanding, and consider more alternatives. This tool offers a flexible and engaging approach responding to information designers’ needs. The card format and size provide easy portability, and a change from the digital environment in which you are probably immersed. You can use MapCI Cards in many ways according to your working habits. Learn more about the cards and order your deck from here. Copyright © 2015 Sheila Pontis. All rights reserved.